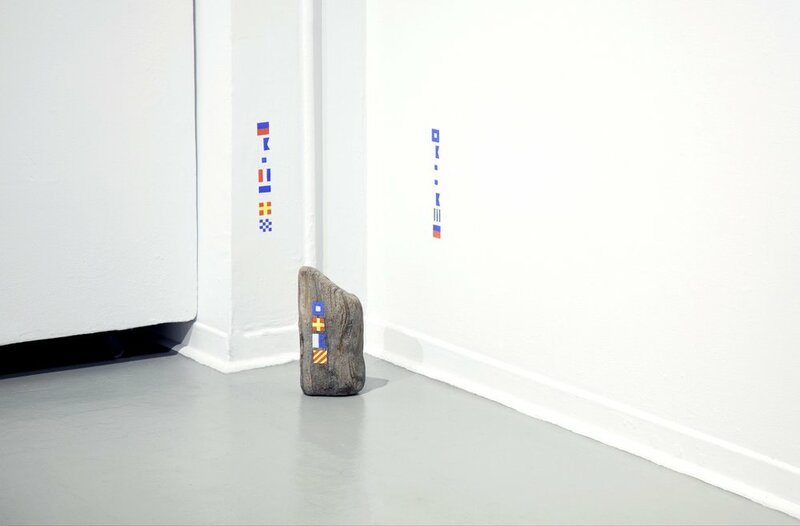 gouache on found stones, gouache on gallery walls, collected water, documentation. 4 stones: approx. 30cm x 35cm x 25cm each. Catch; Cruise; Play; Pray reflects on four locations of personal, familial, sexual and spiritual importance. 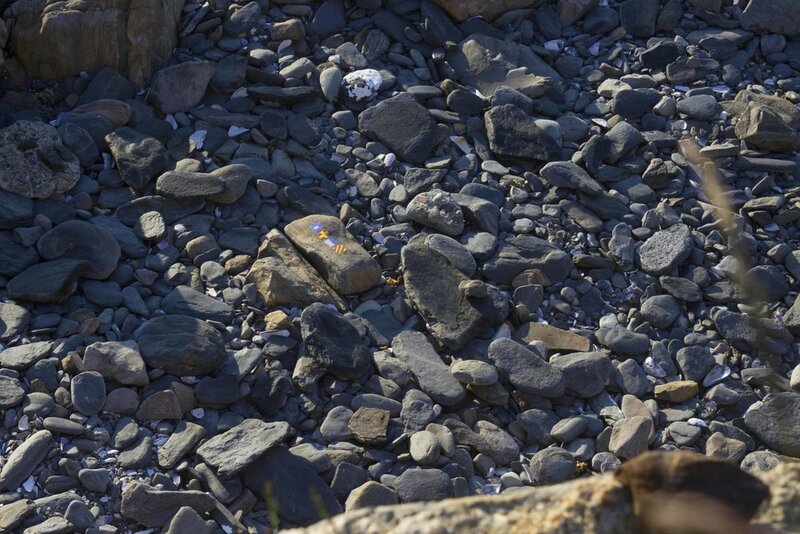 A single stone is chosen and collected from each of these locations, and a verb is chosen to correspond with my memory of that place. 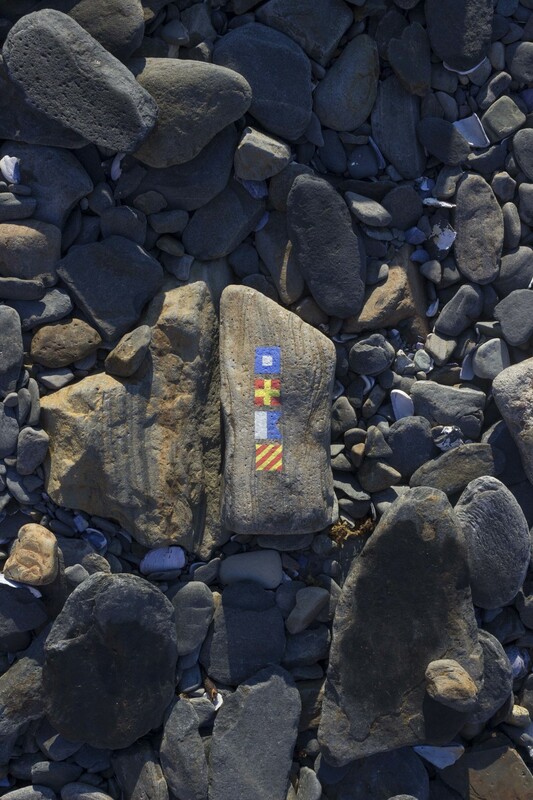 The verb is painted on the rock in naval code, in a water-soluble material. When presented in a gallery, the names of these locations are also painted in code in the corners of the gallery. Following the exhibition, the locations' names are washed from the walls, and the painted rocks are returned to their original locations for the sea or elements to wash away their alteration. 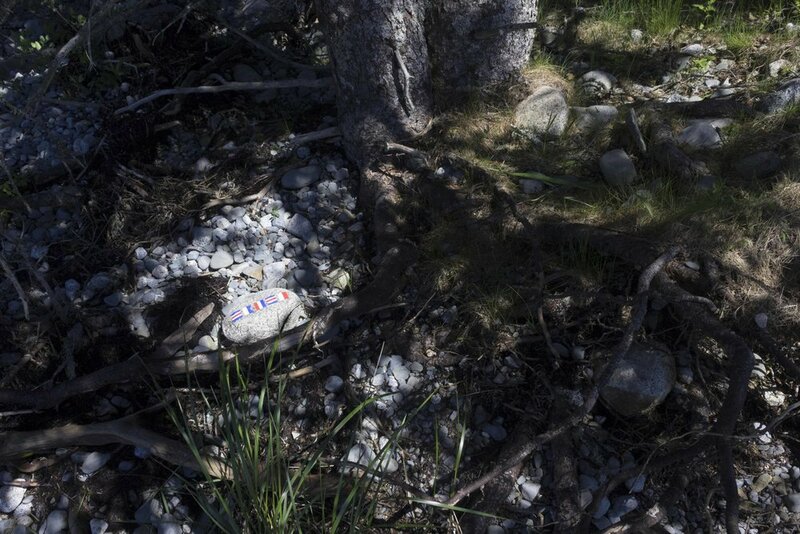 The project is attempt to articulate a poetic relationship between body, memory and place. 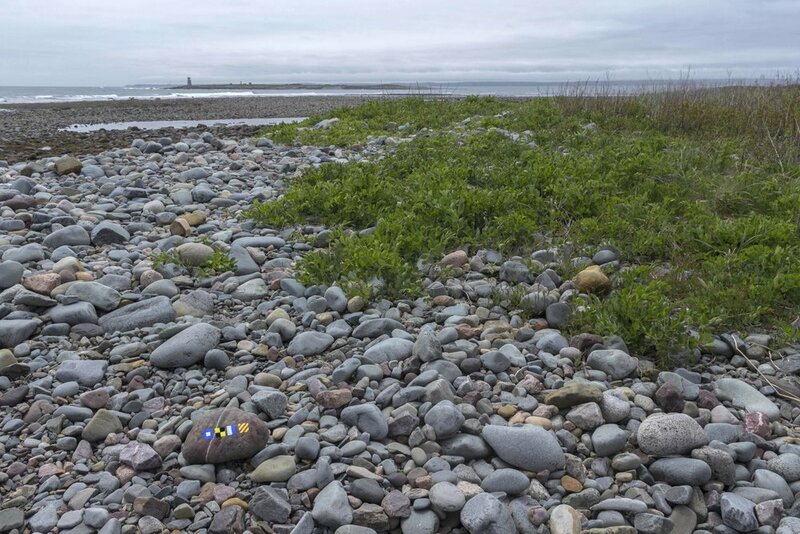 Using the Atlantic Canadian art form of rock painting, and the ritual practice of going to and collecting from the shoreline, the work explores the construction of Atlantic Canadian cultural identity as it intersects with my own lived-experience. In Issue #129: Documentation of C-Magazine, Karin Cope generously writes on the poetic dimensions of Catch; Cruise; Play; Pray in, "On Writing: Given Time: Notes on Dimensional Poetry." In gallery images courtesy of the Anna Leonowens Gallery. Photographer: Jordan Blackburn.